Wolf Commercial Real Estate, a premier South Jersey commercial real estate brokerage firm with expertise in Southern New Jersey commercial real estate listings and services, now is offering South Jersey office space for lease at 460 Veterans Drive Burlington NJ. This conveniently located Southern New Jersey office space for lease is part of industrial and warehouse space for lease at 460 Veterans Drive Burlington NJ. 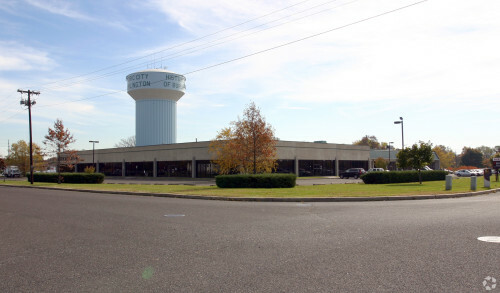 There is plus or minus 1,996 to 17,238 square feet of divisible industrial and warehouse space available at this Burlington office space for lease. 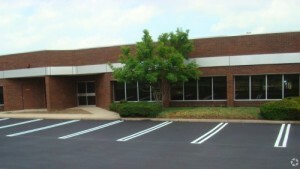 The asking lease price for this office space in South Jersey is $8.00 – $9.00/sf NNN. This South Jersey office building for lease is available for immediate occupancy through Wolf Commercial Real Estate, a South Jersey commercial real estate broker that specializes in Southern New Jersey commercial real estate listings and services. This office space in Burlington is zoned for light industrial, R&D and office uses. There are 18-foot ceiling heights in this Burlington office space for lease and the column spacing is 40 feet by 40 feet. This Southern New Jersey office space for lease at 460 Veterans Drive Burlington NJ is fully heated and air conditioned. A Rooftop Solar System at this office space in South Jersey provides a “green” source of electricity at a reduced cost. However, this South Jersey office building for lease also remains on the main electric grid for redundancy. The loading docks at this office space in Burlington feature three interior tailgate doors. Drive-ins at this Southern New Jersey office space for lease will be installed to the tenant’s specifications. This South Jersey office space for lease at 460 Veterans Drive Burlington NJ is well located, providing easy access to the Burlington Bristol Bridge and I-95. 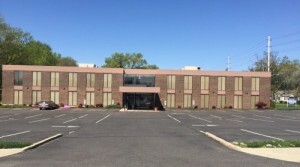 A NJ Transit River Line Light Rail station is located immediately onsite at this South Jersey office building for lease through Wolf Commercial Real Estate, a South Jersey commercial real estate brokerage firm with expertise in Southern New Jersey commercial real estate listings and services. Parking is plentiful at this office space in Burlington at a ratio of 3.0/1,000 sf. Both monument and tenant suite signage is available at this Burlington office space for lease. Nearly 178,000 residents live within a five-mile radius of this office space in South Jersey. The average household income in the same area of this Southern New Jersey office space for lease is $76,830. For more information about this South Jersey office space for lease at 460 Veterans Drive Burlington NJ or about any other South Jersey commercial properties for sale or lease, please contact Leor Hemo (856-857-6302; leor.hemo@wolfcre.com) or Jason Wolf (856-857-6301; jason.wolf@wolfcre.com) at Wolf Commercial Real Estate, a South Jersey commercial real estate broker that specializes in Southern New Jersey commercial real estate listings and services. Wolf Commercial Real Estate, a leading Southern New Jersey commercial real estate broker that specializes in South Jersey commercial real estate listings and services, is now offering South Jersey office space for lease in the Mount Laurel Office Center at 530-532 Fellowship Road Mount Laurel NJ. This well-located professional office space in South Jersey is ideal for a wide range of professional or medical users. There is approximately 14,293 square feet of Southern New Jersey office space for lease in the two buildings at 530-532 Fellowship Road Mount Laurel NJ. The South Jersey office building for lease at 530 Fellowship Road Mount Laurel NJ provides 5,668 square feet of South Jersey professional office space for lease in one suite. The South Jersey office building for lease at 532 Fellowship Road Mount Laurel NJ offers three suites for lease. Suite 1 has 2,751 square feet of professional office space in Southern New Jersey. Suite 2 in this South Jersey office building for lease provides 2,645 square feet and Suite 3 features 2,571 square feet in a theater-style conference room. The three available suites at 532 Fellowship Road Mount Laurel NJ are contiguous, totaling approximately 8,625 square feet of Southern New Jersey office space for lease. The asking lease price for this professional office space in South Jersey in the Mount Laurel Office Center at 530-532 Fellowship Road Mount Laurel NJ is $12.00/sf NNN. This South Jersey office space for lease is available for immediate occupancy from Wolf Commercial Real Estate, a Southern New Jersey commercial real estate brokerage firm with expertise in South Jersey commercial real estate listings and services. Locally owned and managed, this Southern New Jersey office space for lease at 530 Fellowship Road Mount Laurel NJ and 532 Fellowship Road Mount Laurel NJ features customized office suites. Neighboring tenants in the Mount Laurel Office Center include the Department of Homeland Security, the Social Security Administration and Honeywell. This South Jersey professional office space for lease is easily accessible from Route 73, I-295 and the NJ Turnpike. This South Jersey office space for lease is located across from The Westin Mount Laurel hotel and DoubleTree Suites by Hilton Hotels and adjacent to the Aloft Mount Laurel hotel, Miller’s Ale House and Starbucks. This professional office space in South Jersey at 530 Fellowship Road Mount Laurel NJ and 532 Fellowship Road Mount Laurel NJ also is located near many other hotels, restaurants, banks, retailers and shopping centers, including Eastgate Shopping Center and the Moorestown Mall. There is both monument and tenant suite signage at this South Jersey professional office space for lease through Wolf Commercial Real Estate, a Southern New Jersey commercial real estate broker that specializes in South Jersey commercial real estate listings. Parking is plentiful at this professional office space in Southern New Jersey. The parking ratio at 530 Fellowship Road Mount Laurel NJ is 4/1,000 sf and the parking ratio at 532 Fellowship Road Mount Laurel NJ is 9/1,000 sf. More than 180,000 people reside within five miles of this professional office space in South Jersey and the average household income in the same area is $105,426. For more information about this South Jersey office space for lease in the Mount Laurel Office Center at 530-532 Fellowship Road Mount Laurel NJ or about any other South Jersey commercial properties for sale or lease, please contact Christopher Henderson (856-857-6337; chris.henderson@wolfcre.com) or Jason Wolf (856-857-6301; jason.wolf@wolfcre.com) at Wolf Commercial Real Estate, a Southern New Jersey commercial real estate brokerage firm with expertise in South Jersey commercial real estate listings and services. Wolf Commercial Real Estate, the foremost South Jersey commercial real estate broker with expertise in Southern New Jersey commercial real estate listings and services, now has available South Jersey office space for sale or lease in the Ashland Office Center at 1 Alpha Avenue Voorhees NJ. This conveniently located professional office space in South Jersey is ideal for any professional or medical user seeking ample parking, excellent visibility and nearby access to medical facilities, restaurants, banks and retail stores. This South Jersey office building for sale or lease provides the perfect headquarters opportunity for an owner-occupant. This South Jersey professional office space for sale or lease features approximately 1,000-21,423 square feet of divisible South Jersey office space for sale or lease. The asking lease price for this professional office space in Southern New Jersey in the Ashland Office Center Voorhees NJ is $14.50/sf Full Service. The asking sale price for this Southern New Jersey office space for sale or lease is $1,575,000. 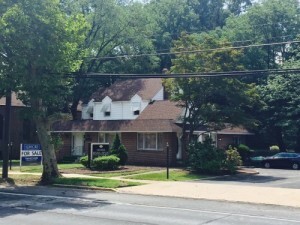 This South Jersey office building for sale or lease at 1 Alpha Avenue Voorhees NJ is available for immediate occupancy from Wolf Commercial Real Estate, a South Jersey commercial real estate brokerage firm that specializes in Southern New Jersey commercial real estate listings and services. Recent capital improvements have been completed to the roof and exterior of this South Jersey office building for sale or lease. This two-story South Jersey professional office space for sale or lease is serviced by an elevator. There is both monument and building signage available at this professional office space in South Jersey in the Ashland Office Center at 1 Alpha Avenue Voorhees NJ. This professional office space in Southern New Jersey is located at the Ashland Station of the PATCO High-Speed Line. This Southern New Jersey office space for sale or lease at 1 Alpha Avenue Voorhees NJ also is situated in close proximity to exit 31-32 of I-295. 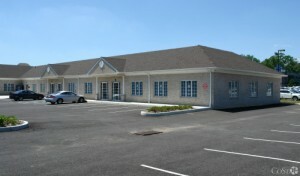 The on-site parking ratio at this South Jersey professional office space for sale or lease is excellent at 4/1,000 sf. 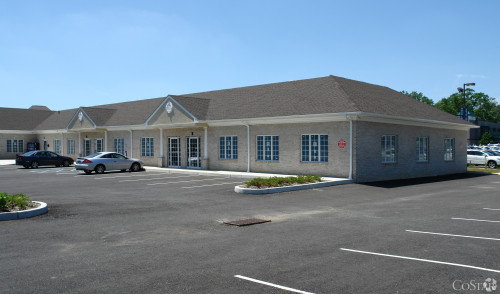 Numerous amenities are located near this professional office space in South Jersey that is available through Wolf Commercial Real Estate, a South Jersey commercial real estate broker with expertise in Southern New Jersey commercial real estate listings. More than 255,000 residents live within a five-mile radius of this Southern New Jersey office space for sale or lease in the Ashland Office Center Voorhees NJ. The average household income in the same area of this professional office space in Southern New Jersey is just under $90,000. For more information about this South Jersey office space for sale or lease in the Ashland Office Center at 1 Alpha Avenue Voorhees NJ or about any other South Jersey commercial properties for sale or lease, please contact Jason Wolf (856-857-6301; jason.wolf@wolfcre.com) or Leor Hemo (856-857-6302; leor.hemo@wolfcre.com) at Wolf Commercial Real Estate, a South Jersey commercial real estate brokerage firm that specializes in Southern New Jersey commercial real estate listings and services. Wolf Commercial Real Estate, the foremost South Jersey commercial real estate broker that specializes in Southern New Jersey commercial real estate listings and services, is now offering South Jersey office space for lease in the Cross Keys Campus at 110 American Boulevard Turnersville NJ. This South Jersey office/flex space for lease offers 2,700-9,000 square feet of divisible office/flex space in South Jersey for lease. This Southern New Jersey office space for lease is situated in an established retail/flex/office location. The asking lease price of this office/flex space in South Jersey at 110 American Boulevard Turnersville NJ is $8.50/sf NNN. This Southern New Jersey office/flex space for lease in the Cross Keys Campus is available for immediate occupancy through Wolf Commercial Real Estate, a South Jersey commercial real estate brokerage firm with expertise in Southern New Jersey commercial real estate listings and services. This South Jersey office space for lease is located 1 ½ miles from an Atlantic City Expressway Interchange and within close proximity to Route 42 and Route 55. There are several major retailers and amenities within the immediate area of this South Jersey office/flex space for lease. With 20-foot ceiling heights, this Southern New Jersey office space for lease is ideal for a variety of office and flex uses. There is both monument and suite signage available at this office/flex space in South Jersey. This Southern New Jersey office/flex space for lease in the Cross Keys Campus at 110 American Boulevard Turnersville NJ is now available through Wolf Commercial Real Estate, a South Jersey commercial real estate broker that specializes in Southern New Jersey commercial real estate listings and services. 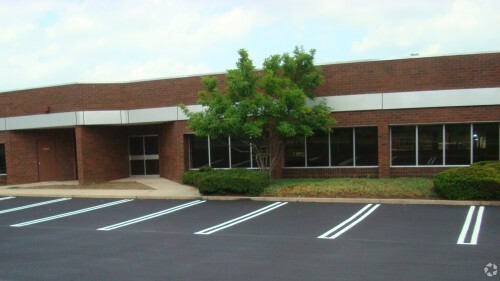 Parking is plentiful at this South Jersey office/flex space for lease with a ratio of 6/1,000 SF. More than 150,000 people reside within a five-mile radius of this Southern New Jersey office space for lease. The average household income in the same area near this Southern New Jersey office/flex space for lease is $88,641. For more information about this South Jersey office space for lease in the Cross Keys Campus at 110 American Boulevard Turnersville NJ, or about any other South Jersey commercial properties for sale or lease, please contact Christopher Henderson (856-857-6337; chris.henderson@wolfcre.com) or Jason Wolf (856-857-6301; jason.wolf@wolfcre.com) at Wolf Commercial Real Estate, a leading South Jersey commercial real estate brokerage firm. 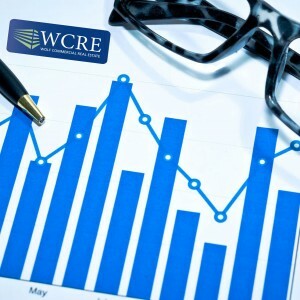 While the national economy was affected by turmoil in the global markets, the South Jersey commercial real estate market continued its progress for another quarter, according to the latest quarterly analysis from Wolf Commercial Real Estate, a premier South Jersey commercial real estate broker that specializes in South Jersey commercial real estate listings and services, including South Jersey office space and other South Jersey commercial properties. According to the report issued by Wolf Commercial Real Estate, a South Jersey commercial real estate brokerage firm with expertise in South Jersey commercial real estate listings and services, including South Jersey office space and other South Jersey commercial properties, this repositioning also covers the latest coup for the GROW NJ program, a recently announced 1.7 million square-foot mixed use development along the waterfront in Camden, NJ. The full report is available upon request from Wolf Commercial Real Estate, a South Jersey commercial real estate brokerage firm with expertise in South Jersey commercial real estate listings and services, including South Jersey office space and other South Jersey commercial properties. For more information about South Jersey office space or any South Jersey commercial properties, please contact Jason Wolf (856-857-6301; jason.wolf@wolfcre.com), Christina Del Duca (856-857-6304; christina.delduca@wolfcre.com), Todd Levin (856-857-6319; todd.levin@wolfcre.com), Scott Seligman (856-857-6305; scott.seligman@wolfcre.com) or Christopher Henderson (856-857-6337; chris.henderson@wolfcre.com at Wolf Commercial Real Estate, a South Jersey commercial real estate broker. Wolf Commercial Real Estate is a premier South Jersey commercial real estate broker that provides a full range of South Jersey commercial real estate listings and services that include South Jersey office space and other South Jersey commercial properties. 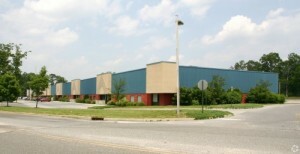 Wolf Commercial Real Estate markets commercial offices, medical properties, industrial properties, land properties, retail buildings and other South Jersey commercial properties for buyers, tenants, investors and sellers. Please visit our websites for a full listing of South Jersey commercial properties for lease or sale through our South Jersey commercial real estate brokerage firm. Wolf Commercial Real Estate, a leading South Jersey commercial real estate broker with expertise in Southern New Jersey commercial real estate listings and services, now has available a well-located South Jersey office building for sale at 901 Route 38 Cherry Hill NJ. This South Jersey professional office building for sale is a stand-alone, two-story professional office building in South Jersey that provides a fantastic opportunity for a professional user. This South Jersey office space for sale has been renovated and features 16 private offices on two floors of this Southern New Jersey office building for sale. This Southern New Jersey office space for sale has approximately 4,558 square feet of professional office space in South Jersey. The asking sale price for this professional office building in South Jersey at 901 Route 38 Cherry Hill NJ has been reduced to $595,000. This South Jersey professional office building for sale is available for immediate occupancy through Wolf Commercial Real Estate, a South Jersey commercial real estate brokerage firm that specializes in Southern New Jersey commercial real estate listings and services. The well-executed layout of this South Jersey office space for sale provides a conference room, reception area, kitchen and restrooms on both floors. There also is an outdoor deck/patio at this Southern New Jersey office building for sale at 901 Route 38 Cherry Hill NJ. There is approximately 2,279 square feet of Southern New Jersey office space for sale on each of the two floors in this South Jersey office building for sale. This professional office space in South Jersey is located on a half acre lot directly on Route 38 Eastbound in Cherry Hill, NJ. 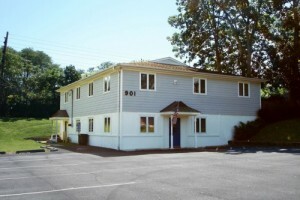 This ideal location of this South Jersey professional office building for sale provides excellent visibility. Parking is abundant at this professional office building in South Jersey with 25 surfaces spaces available. This Southern New Jersey office building for sale at 901 Route 38 Cherry Hill NJ is being offered for sale through Wolf Commercial Real Estate, a South Jersey commercial real estate broker with expertise in Southern New Jersey commercial real estate listings. This South Jersey professional office building for sale is easily accessible from the Benjamin Franklin Bridge and Center City Philadelphia. This South Jersey office space for sale at 901 Route 38 Cherry Hill NJ is located close to the Cherry Hill Mall, the Market Place at Garden State Park and numerous restaurants and retailers on Haddonfield Road. More than 315,000 people reside within five miles of this South Jersey office building for sale and the average household income in the same area is $118,892. On average, nearly 59,000 vehicles per day pass through the intersection of Route 38 and Pop Avenue near this Southern New Jersey office space for sale. For more information about this professional office space in South Jersey at 901 Route 38 Cherry Hill NJ or about any other South Jersey commercial properties for sale or lease, please contact Christopher Henderson (856-857-6337; chris.henderson@wolfcre.com) or Leor Hemo (856-857-6302; leor.hemo@wolfcre.com) at Wolf Commercial Real Estate, a South Jersey commercial real estate brokerage firm that specializes in Southern New Jersey commercial real estate listings and services. Wolf Commercial Real Estate, a leading South Jersey commercial real estate brokerage firm with expertise in South Jersey commercial real estate listings and services, now has available prime South Jersey office space for lease in the Greentree North Business Center in Mount Laurel NJ. With a variety of office sizes conveniently located along the Route 73 corridor, this South Jersey office and flex space for lease is ideal for several different uses. While many previously available units in the Greentree North Business Center have been leased, units remain available in five of these single-story South Jersey office buildings for lease. 6000 Commerce Parkway Mount Laurel NJ: This South Jersey office building for lease at 6000 Commerce Parkway Mount Laurel NJ offers 24,000 square feet of office space in South Jersey. This South Jersey office and flex space for lease also provides tailgate loading. 11000 Commerce Parkway Mount Laurel NJ: There is 23,008 square feet of divisible office and flex space for lease in South Jersey in this South Jersey office building for lease at 11000 Commerce Parkway Mount Laurel NJ. This South Jersey office space for lease features three loading doors. 14000 Commerce Parkway Mount Laurel NJ: This South Jersey office and flex space for lease at 14000 Commerce Parkway Mount Laurel NJ has one unit remaining with 12,000 square feet of office space in South Jersey. 15000 Commerce Parkway Mount Laurel NJ: This South Jersey office building for lease has 31,000 square feet of divisible office and flex space for lease in South Jersey. Every office in this South Jersey office space for lease at 15000 Commerce Parkway Mount Laurel NJ features high ceilings and sidelights. 18000 Commerce Parkway Mount Laurel NJ: Tenants looking for their own South Jersey office building for lease will find the perfect space at 18000 Commerce Parkway Mount Laurel NJ. This office space in South Jersey offers 20,000 square feet of South Jersey office and flex space for lease. There is one loading door and a generator at this South Jersey office space for lease. The asking lease price for this office and flex space in South Jersey is $11.00-$12.00/SF NNN. These South Jersey office buildings for lease are available for immediate occupancy through Wolf Commercial Real Estate, a South Jersey commercial real estate brokerage firm that specializes in South Jersey commercial real estate listings and services. This South Jersey office and flex space for lease is locally owned and managed. 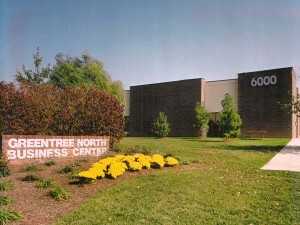 The Greentree North Business Center, the professional office park where this office space in South Jersey is located, provides tenants day-care facilities and recreational amenities within the office park. This South Jersey office space for lease is located in close proximity to hotels, restaurants, retailers and banks. Both I-295 and the New Jersey Turnpike are easily accessed from this office and flex space for lease in South Jersey via direct access to Route 73. In addition, the Tacony-Palmyra Bridge and the Betsy Ross Bridge are easily reached from these South Jersey office buildings for lease. This office and flex space in South Jersey is available through Wolf Commercial Real Estate, a South Jersey commercial real estate broker with expertise in South Jersey commercial real estate listings and services. More than 180,000 people reside in a five-mile radius of this South Jersey office and flex space for lease. The average household income within the same radius of this office and flex space for lease in South Jersey is $105,426. According to traffic counts, more than 46,000 drivers per day pass through the intersection of Route 73 and Lincoln Drive near this South Jersey office space for lease in the Greentree North Business Center. With a ratio of 4.5/1,000 sf, there is ample parking at these South Jersey office buildings for lease. This South Jersey office and flex space for lease at 6000 Commerce Parkway Mount Laurel NJ, 11000 Commerce Parkway Mount Laurel NJ, 14000 Commerce Parkway Mount Laurel NJ, 15000 Commerce Parkway Mount Laurel NJ, and 18000 Commerce Parkway Mount Laurel NJ is being offered by Wolf Commercial Real Estate, a South Jersey commercial real estate brokerage firm. For more information about this office and flex space for lease in South Jersey in the Greentree North Business Center or about any other South Jersey commercial properties for sale or lease, please contact Christina Del Duca (856-857-6304; christina.delduca@wolfcre.com) or Christopher Henderson (856-857-6337; chris.henderson@wolfcre.com) at Wolf Commercial Real Estate, a South Jersey commercial real estate broker. Wolf Commercial Real Estate is a premier South Jersey commercial real estate brokerage firm that provides a full range of South Jersey commercial real estate listings and services, marketing commercial offices, medical properties, industrial properties, land properties, retail buildings and other South Jersey commercial properties for buyers, tenants, investors and sellers. Please visit our website for a full listing of South Jersey commercial properties for lease or sale through our South Jersey commercial real estate brokerage firm. Wolf Commercial Real Estate, a premier South Jersey commercial real estate broker with expertise in Southern New Jersey commercial real estate listings and services, is offering premier South Jersey office space for lease in Cherry Hill NJ. This Southern New Jersey office space for lease in Cherry Hill comprises three buildings at the Colwick Business Center at 53-55-57 Haddonfield Road Cherry Hill NJ. — The South Jersey office building for lease at 53 Haddonfield Road Cherry Hill NJ currently has one suite for lease. Suite 330 at 53 Haddonfield Road Cherry Hill NJ offers 15,025 square feet of professional office space for lease in Southern New Jersey. — At 55 Haddonfield Road Cherry Hill NJ, there is between 9,841 and 61,694 square feet of professional office space for lease in South Jersey now available. This South Jersey office building for lease at 55 Haddonfield Road Cherry Hill NJ is divisible into multiple smaller units to meet tenant needs. 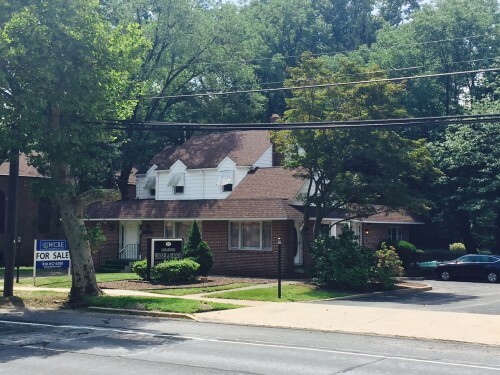 — The South Jersey office building for lease at 57 Haddonfield Road Cherry Hill NJ has one unit of Southern New Jersey professional office space for lease. This South Jersey office space for lease at 57 Haddonfield Road Cherry Hill NJ consists of 2,850 square feet. The asking lease price for the professional office space for lease in Southern New Jersey at 53-55-57 Haddonfield Road Cherry Hill NJ is $9.50-$12.00/sf NNN. This South Jersey professional office space for lease is available for immediate occupancy through Wolf Commercial Real Estate, a South Jersey commercial real estate brokerage firm that specializes in Southern New Jersey commercial real estate listings and services. This professional office space for lease in South Jersey is located in the Colwick Business Center at the intersection of Haddonfield and Church roads in Cherry Hill. Now under local ownership and management, the Colwick Business Center consists of single-story buildings with no loss factor and this South Jersey professional office space for lease offers direct, private 24/7 access to tenant suites. In addition, this Southern New Jersey office space for lease has professionally landscaped common areas, sidewalks and walking paths. There are base building improvements ongoing at this South Jersey professional office space for lease at 53-55-57 Haddonfield Road Cherry Hill NJ. This professional office space for lease in Southern New Jersey features a daycare center, as well as an efficient layout with open bullpen areas and individual offices. This professional office space for lease in South Jersey is now available through Wolf Commercial Real Estate, a South Jersey commercial real estate broker that specializes in Southern New Jersey commercial real estate listings and services. Nearly 1.8 million people reside with 10 miles of this Southern New Jersey professional office space for lease. With an NJ Transit bus stop (Route 404) located within the Colwick Business Center, access to this Southern New Jersey office space for lease is ideal. A NJ Transit train station that provides direct access to and from Philadelphia and Atlantic City is situated less than five minutes from this South Jersey office space for lease. This South Jersey office building for lease is well located in close proximity (under 10 minutes) from Routes 38, 73 and 70, the New Jersey Turnpike, I-295, I-676 and the Betsy Ross Bridge. This professional office space for lease in Southern New Jersey also is less than 15 minutes from the Ben Franklin Bridge and Center City Philadelphia and less than 20 minutes from Philadelphia International Airport. Parking is abundant at this professional office space for lease in South Jersey, with a ratio of 4.23/1,000 sf at 53 Haddonfield Road Cherry Hill NJ, 4.8/1,000 sf at 55 Haddonfield Road Cherry Hill NJ and 4.78/1,000 sf at 57 Haddonfield Road Cherry Hill NJ. The Cherry Hill Mall, a 1.25 million square foot regional shopping center with several national retailers and restaurants, is less than one mile from this Southern New Jersey professional office space for lease. This Southern New Jersey office space for lease is just two miles from the Marketplace at Garden State Park, a mixed use development that will feature more than 800,000 square feet of retail space, a 285,000-square-foot lifestyle center, 1,700 residential units, office space, a hotel and a conference center. For more information about this South Jersey office space for lease at 53-55-57 Haddonfield Road Cherry Hill NJ or about any other South Jersey commercial properties for sale or lease, please contact Jason Wolf (856-857-6301; jason.wolf@wolfcre.com), Leor Hemo (856-857-6302; leor.hemo@wolfcre.com) or Christina Del Duca (856-857-6304; christina.delduca@wolfcre.com) at Wolf Commercial Real Estate, a South Jersey commercial real estate broker. Wolf Commercial Real Estate, a leading Southern New Jersey commercial real estate brokerage firm that specializes in South Jersey commercial real estate listings and services, is offering premier South Jersey office space for lease in Williamstown NJ. This South Jersey professional office space for lease is located in the heart of the Williamstown business district at 1035 North Black Horse Pike Williamstown NJ. 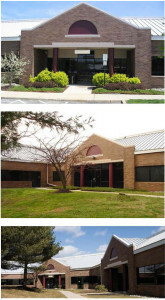 Two suites are available in the South Jersey office building for lease at 1035 North Black Horse Pike Williamstown NJ. Unit 7 provides 1,175 square feet of Southern New Jersey office space for lease and Unit 8 at 1035 North Black Horse Pike Williamstown NJ has 2,722 square feet of office space for lease in South Jersey. The asking lease price for the Southern New Jersey professional office space for lease in both of these units is $15.00/sf Gross plus utilities. This office space for lease in South Jersey is available for immediate occupancy through Wolf Commercial Real Estate, a Southern New Jersey commercial real estate broker that specializes in South Jersey commercial real estate listings and services. The newly constructed building housing this Southern New Jersey professional office space for lease is in growing Williamstown NJ at 1035 North Black Horse Pike. This office space for lease in South Jersey at 1035 North Black Horse Pike Williamstown NJ is an ideal location for a medical or professional user. The demographics for this South Jersey professional office space for lease are excellent with more than 52,000 people residing within five miles of this South Jersey office building for lease. This Southern New Jersey office space for lease has a monument sign directory at the entrance to the office complex and there also is suite signage at this South Jersey office space for lease through Wolf Commercial Real Estate, a Southern New Jersey commercial real estate brokerage firm that specializes in South Jersey commercial real estate listings and services. More than 25,000 vehicles per day pass through the intersection of North Black Horse Pike and Lake Avenue in front of this South Jersey professional office space for lease at 1035 North Black Horse Pike Williamstown NJ. Parking is plentiful at this South Jersey office space for lease with a ratio of 6.75/1,000 sf at 1035 North Black Horse Pike Williamstown NJ. This South Jersey office building for lease offers convenient access to Kennedy Memorial Hospital and this Southern New Jersey professional office space for lease at 1035 North Black Horse Pike Williamstown NJ also is near Route 42 and the Atlantic City Expressway. For more information about this Southern New Jersey office space for lease at 1035 North Black Horse Pike Williamstown NJ or about any other South Jersey commercial properties for sale or lease, please contact Jason Wolf (856-857-6301; jason.wolf@wolfcre.com) or Scott Seligman (856-857-6305; scott.seligman@wolfcre.com) at Wolf Commercial Real Estate, a Southern New Jersey commercial real estate broker. Wolf Commercial Real Estate, a premier Southern New Jersey commercial real estate broker that specializes in South Jersey commercial real estate listings and services, now has available a South Jersey professional office building for sale at 329 Route 70 West Cherry Hill NJ. This South Jersey office building for sale has plus or minus 3,424 square feet of well-located Southern New Jersey office space for sale. The first floor of this South Jersey office space for sale has plus or minus 2,337 sf while the second floor of this Southern New Jersey office space for sale has plus or minus 1,087 sf. The asking price for this Southern New Jersey office building for sale is $435,000. This South Jersey office building for sale is available for immediate occupancy through Wolf Commercial Real Estate, a Southern New Jersey commercial real estate brokerage firm that specializes in South Jersey commercial real estate listings and services. This South Jersey professional office building for sale at 329 Route 70 West Cherry Hill NJ has prominent monument signage fronting on Route 70. There is immediate access to Kings Highway from this South Jersey office space for sale. This Southern New Jersey office building for sale is conveniently located near the Haddonfield business district and this South Jersey office building for sale is right around the corner from all points of Cherry Hill and surrounding areas. The prime location and excellent layout of this Southern New Jersey office space for sale makes it a great fit for any professional or medical user. This South Jersey office building for sale at 329 Route 70 West Cherry Hill NJ is available through Wolf Commercial Real Estate, a Southern New Jersey commercial real estate broker that specializes in South Jersey commercial real estate listings and services. The demographics for this South Jersey office space for sale are excellent. More than 302,000 residents live within five miles of this Southern New Jersey office building for sale. The average household income within the same five-mile radius of this Southern New Jersey office space for sale is $84,075. There is excellent visibility and close access to restaurants, banks and retail establishments at this South Jersey professional office building for sale. This South Jersey office space for sale has ample parking with a ratio of 4.67/1,000 sf. For more information about this Southern New Jersey office building for sale at 329 Route 70 West Cherry Hill NJ or about any other South Jersey commercial properties for sale or lease, please contact Christina Del Duca (856-857-6304; christina.delduca@wolfcre.com) or Jason Wolf (856-857-6301; jason.wolf@wolfcre.com) at Wolf Commercial Real Estate, a Southern New Jersey commercial real estate brokerage firm that specializes in South Jersey commercial real estate listings and services.